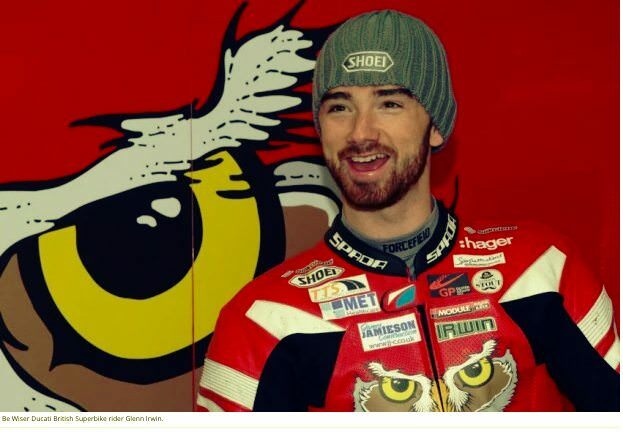 Bishopscourt Racing Circuit | Irwin wants his name on Trophy! Irwin wants his name on Trophy! 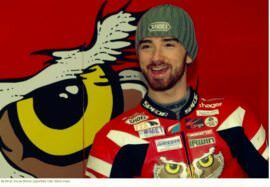 BSB Superbike rookie, Glenn Irwin returns to the 2016 Sunflower race meeting, with his best ever chance of taking the coveted SUNFLOWER Trophy. Having a splendid debut season in British Superbike, on board the Be Wiser Ducati Panagale, 26 year old Irwin, who has been successful in the past at the Sunflower meeting , with wins in both 600 supersport and Supertwin level, but the Main race win still eludes the Lisburn rider, but now that it has been confirmed, that Irwin will be bringing the exotic Italian Superbike to Bishopscourt on Friday21st and Saturday 22nd, Glenn feels will give him his best shot at winning the prestigious trophy, one that his Dad Alan has won on two occasions! Despite starting the 2016 season as a Rookie in the ultra competitive British Superbike Championships, Glenn has shown great maturity, building his race craft as the season progressed, but knows, bringing the Ducati to Bishopscourt, will be another learning curve. Having competed, and won here on 600 machinery, Irwin knows he still has work to do, but isn’t coming to finish second best!